Recently, we had the opportunity to try out 2Toms BlisterShield, and we were quite impressed! While most inorganic powders (like talc) absorb moisture to reduce friction, they quickly lose their overall effectiveness. 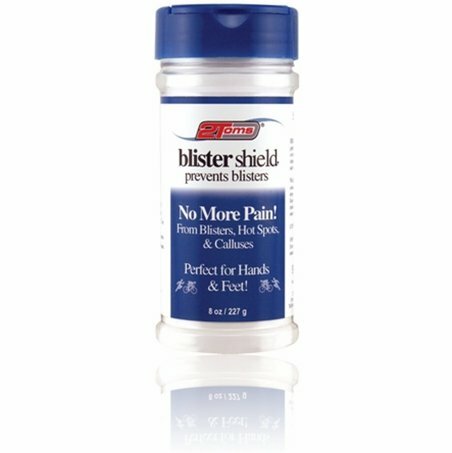 BlisterShield's formula is designed to create an nearly frictionless surface, and thereby minimizes heat build-up and blister formation. Simply dust your feet with this amazing powder, or shake some into athletic socks, and you will find that it improves performance and reduces fatigue. Technologically-advanced formula contains PTFE (AKA Teflon). Low friction formula helps prevent the formation of blisters and hot spots. Resists chemical breakdown, allowing one application to last for up to 24 hours. Washes off quickly with soap and water. Does not stain skin or clothes. Excellent for both performance athletes and hospitality workers. Reduces chafing and irritation caused by orthotic devices. 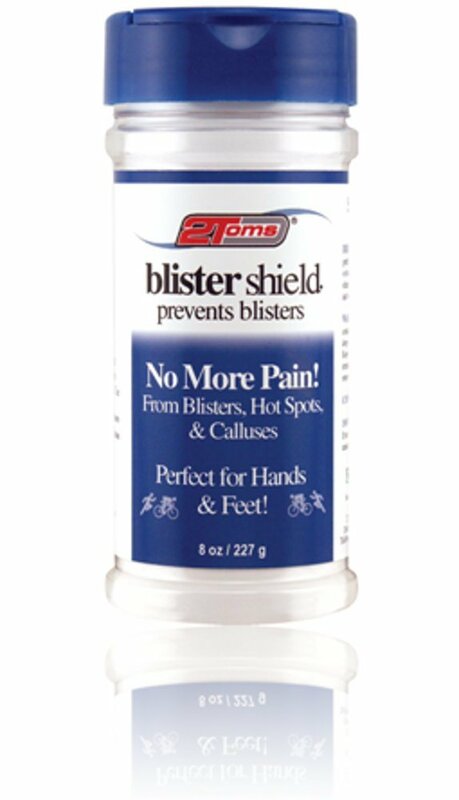 Please note that BlisterShield is specially formulated to prevent blisters, rather than to treat them. As such, it should only be used on intact, healthy skin. What is this size of this? I'm thinking about using these as stocking stuffers! Think it would be great! Shaker bottle measures 5" long and 2" wide. Yes they would make an excellent stocking stuffer for anyone who suffers from chafing and irritation!